- they wait for the career to be settled before the first (and maybe the only) childbirth. The number of children per couple is either one or zero. It is certain that nothing can save this community from extinction - vanishing! Let me try to introduce this community. British Government recognized Anavil as one with a sharp intellect and efficient administrators. On being questioned, they would hardly give a straight answer. They would either give the wrong answer prompted by selfish motive or feign ignorance. They are known for tact and quarrelsome nature. They are firmly insistent on getting their viewpoint accepted. They are fond of litigation and fight with unusual tenacity for a tree, a piece of land or for a confiscated right. Only death can end their dispute. They cannot be won over by arguments or negotiations. I am adding my own impressions of Anavils being an Anavil one-self and staying amongst them for 64 years in two Hindi words: Aapvadai (Superiority complex) and Hamsachchai (My truth is the only truth). Superiority Complex: We (Anavils, that is) have inherited this virtue because of being “King" - the rulers. Each one of us considers him/herself "The Best" of all around and the most intelligent individual, whatever the real IQ level may be. This simple looking virtue becomes bad to worse later when he/she progresses to consider all others inferior to him/her. The real problem starts here and because of this lack of respect for one another in particular and community, in general, cannot be expected. The unity amongst caste fellows is not to be dreamt of. My truth is the only truth: We are intelligent people and good administrators, but we dominate. Whatever one says is the only truth and it has to be followed by everyone. It is not optional nor there is any scope for correction or discussion. This nature has led to many poor relationships amongst each other and no fellow is available. From Prime Minister, Physician, Pleader to Peon – Anavils are everywhere! We were living and belonging to South Gujarat (in India), from Kosamba in the north to Vapi towns within the south. 120 kilometres area between rivers Daman Ganga in the south to Kim in the north was inhabited in South Gujarat (India) by Anavils. Nowadays one can find an Anavil anywhere in any country in the world. The list can never end until you fill all the important positions by Anavils. Let’s go deeper into history. The history of Anavils has deep roots. 5,000 years back, Anavils were brought to a village named Anaval (then known as Anadipur) in South Gujarat from Ayodhya by Hanuman for doing Maha Yajña for Shri Rama who wanted to wash out the sin of killing King Ravana – a brahmin. They were Aryans migrated from Afghanistan. According to the Court poet Bhukhan of Chatrapati Shivaji Maharaj, the population of Anaulla (now known as Anavils) were staying at Magadh around Bihar. The ruler Anavil named "Putrak" married to Naga Kanya "Patli" and they constructed the capital city of their state "Patli-Putrak". He said, the great Chanakya, also known as Kautilya, was Anavil. After this great mission, these Brahmins labelled as Anavils became ruler of Kingdom Anaval. Anaval state had Vyara, Mahuva, Vansada and Chikhali talukas. Buddhists took the Bhil community in hand to have a war with Anavils under the leadership of Vansia Bhil. The Anavil king lost this war. Around 1186 AD, the Anavil king Samandhar Vashi won the war against Vansia Bhil with the help of Rajput King of Paatan, Siddharaj Jaisinh. But he lost interest in Kingdom and gave it to Rajputs. King Digvirandrasinh was the last Rajput ruler of this state, later named as Vansada state. Anavils were spread all around 300 villages of South Gujarat. I must tell about a few important ones with their relevant stories. Anaval: Anaval is 60 km from Surat and Navsari having Shukleshwar Mahadev Temple on the bank of river Kaveri. It is considered to be the primary place of Anavil settlement in the region and Brahmins who resided here became famous as Anavil Brahmins (1932 Anaval Jagat). Anaval is our birth-place and Lord Rama had installed Lord Shukleshwar himself (1906 Vasanji Desai). Shri Kalidas (in Mukta Shastra) said Anaval was inhabited by Anavils and their marble decoration was comparable to Paris and Venice. Surat: Majority of land was owned by Anavils. The credit for creation and growth of Surat city goes to Anavils. It was only Anavils, the active force in this District as it is in their names they formed different "Para" resided by a specific group of Anavils. Residents of Surat are using these names for described area till today. Gandevi: "Desaiji Pedhi" of Anant Vashi is known for last 400 years. Their history is highly credit-worthy. I must tell you about the Sati Mata temple of Gandevi, situated on the bank of a pond at crossroads. The daughter of Gopalji Desai, Ichchhaben, had become "Sati" (dying on the cremation-fire of her husband). She was the first and the last Sati in Anavil community. In her memory, Desaiji family erected a temple. The people of faith go to pay obeisance to temple where a fare is held annually during festivals of Diwali. Mamadev Temple of Puni: We can go on talking this and that, but I shall contain with this last story of Puni. An Anavil brother attacked robbers to protect his sister from being robbed. He attacked robbers successfully with the help of local youth but lost his own life in the pious duty of saving the sister and village from robbers. In his memory, the grateful people of Puni erected a temple "Mamadev Temple" seen till today. Anavils are a dynamic community ready to change for better and in the process, they have had multiple resolutions for social reforms regarding marriage, engagement, dowry, thread ceremony, death and condolence. 1868 Resolution, 1924 Kaliawadi Resolution, 1929 Puni Resolution and 1931 Paria (Taluka: Olpad) Anavil Samaj Sudharak Mandal to name a few. Gopi Naik Raso said, "The Anavil, instead of engaging himself in duties of a Brahmin, made politics dear and achieved bright success in it. He became the pillar of the state. Power and wealth were at his feet and he remained Ajachak (Non-acceptor) and a donor. Because of being non-acceptor and donor, he enjoyed a special position amongst the Brahmins. People respected him for his power and influence with the government. His generosity earned him the nickname of "Baadshah". With all these details, who would like this great community to vanish? The attempts to save them has to start at earliest before it is too late. In addition to Anavils themselves, the NGO and Government machinery should be active to stop their decrease in number. Timely marriage, early children (minimum two) and marriage among the same caste of Anavils are the minimum steps. Shall we start a commercial campaign to do all this? Or shall we start preparing museum of Anavils to show the extinguished species of Anavils? The facts and statistics in this article are based on the book Anavils of South Gujarat written by Ambelal Gopalji Desai (in Gujarati) and translated in English by Harish Desai and Hakumat Desai (1995), published by Harshad K Desai. Have a look at the brief survey I conducted on Facebook. And the feedback I received. You are the first to rightly appreciate contents. No doubt many have responded on Facebook. Thanks Harnish for kind words. This article has scared me! - the extinction part! I finally understand where the pride and the temperament comes from. Firstly, I didn't think I could find an article on our community but okay, here it is. Secondly, I think the current generation wouldn't really relate to it. Probably because we're unaware. Lastly, I liked it. It kind of damaged my ignorance and the best part is - I like how there is something on the internet that talks about us, in general. I would have appreciated your introduction as well. Anyway, I am happy for systematic evakuation. I am sorry,Mitaben, I donot know. Desai Community will never die ! Our DNA is very powerful , the community in bad time had meals once in a day , is far better today .If we leave Ego and Arogance ,we will make our existence felt by our sincerety , dedication and devotion to duty even if we will be few.This Community survived in between two legs of Parshuram who tried to kill all skshatriyas from earth ! We are the surviror of Parshuram's pespiration .powerty or any other thing cannot extinghuish us ! Madhusudanbhai,I agree ..."if we can leaveour ego and arrogance.....", it is not easy as well! Desai Community will never die ! Our DNA is very powerful , the community in bad time had meals once in a day , is far better today .If we leave Ego and Arogance ,we will make our existence felt by our sincerety , dedication and devotion to duty even if we will be few.This Community survived in between two legs of Parshuram who tried to kill all skshatriyas from earth ! We are the surviror of Parshuram's perspiration .poverty or any other thing cannot extinghuish us ! We should have to realise the ground situation. The fact is that we are going to past like parsis , no doubt it takes some time but reality is this. Thanks for such important information on our anavils.Anavils are like para is straight forward, honest, frank spoken, intelligent and brilliant. Please tell me "kuldevi" of anavil. Thanks. Thanks, Rakeshbhai,I donot know about KULDEVI . These are true and genuine.we should change. I am sorry : I donot know about Kuldevi and gotra. Yes, I shall find out and inform. Being a Anavil makes me feel great pride. My description of a ANAVIL would be in 2 words "Brutally Frank". If we all can overcome our shortcomings we can go way ahead. Sharp analytical skills and great administration ability is our Forte. Agreed...."BRUTALLY FRANK"....frank at any cost. We are progressing a lot, but to overcome inherited shortcomings looks difficult. Intrigued by comment that Chankya was an Anavil. We do engage in politics well and are balanced minded as well. We descended from Afghanistan? Fair skinned Anavils make me think we have some Mesopotamian genes in us, Iran- middle east - Portugese-Aryans?? Any genetic testings done? I agree with views expressed by you. Genetic testing is yet to be done. Bharatbhai, your article was informative as well as alarming as Anavils, like Paris are slowly reducing creating a threat of extinction of our community. Girls are less in number as compared to boys resulting in many of our community boys not getting married. Instances of our community girls getting married outside our community. To avoid such situation, I feel leaders and honourable people of our community should hold some seminars or lectures for the younger generation and enlighten them on 'Endangered Species - Anavils"
Bharatbhai, nice and informative article. I agree with you that Anavil community is on the verge of extinction if we fail to realize the roots and causes of such a situation. Marriages of Anavil girls in another communities. Generally the girls are quite educated as compared to boys. Lastly tI think the ratio of girls is less than the boys resulting in many of our community boys not getting married. You have analysed the reasons very rightly. Every member of the community with concern must start acting! I find this topic very interesting, especially the extinction part as I believe that ‘Anavil’ culture and traits will never be extinct because I find in my travels across the world thatosy all south Gujarati communities try and replicate the 'Anavil’ ways even if they realise or not. The point is that ‘Anavil’s’ are a part of south Gujarat life and anyone who has roots from there will always have some kind of link to the ‘Desai’s from there. Thank you for providing this information. Can you provide more specific details about Mr. Raghunathji Naik? We will include it in the article above. 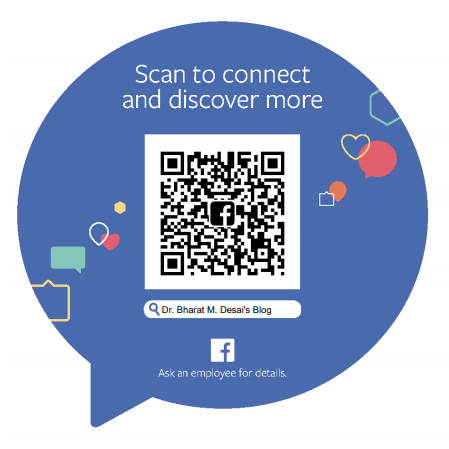 You may comment here or also email directly Dr Bharat Desai at bharat@desaieyehospital.com. 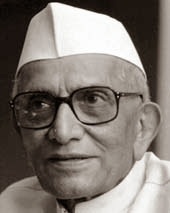 We're also publishing a dedicated article on Late Morarji Desai in Gujarati (https://blog.drbharatdesai.com/2017/03/morarji-desai.html). We may also include these details there. Bharatbhai congratulation for the effort. I have also read many articles and books as much as possible but there is still new information coming to light. one thing if possible all Anavils can say which Gotra they belong to and if village vise we mark on the map ,one can have some idea of Brahman gotras settelment. Cetral Asia, Afganistan to Bali North of Australia Hindu Brahmins were setteled ,ruled and assisted to rule. These were the SHIV pujak.Villages with Shiv temples then-Ram, Dutt Hanuman temples followed later. So well traveled, settled in diffrent parts of the Earth also married to natives and adapted other cultures -civilization. they did stay in contact whith the group, some did not be able to stay in touch-lost the contact but where ever they stayed maintaind the tradition as much as one can adding the other inlfuences. I am trying to find out one Gotra - Kondinya-Kondilya who were the ruler of Kamboj-Funan-(part of todays Combodia, Thailand,Laos and Vietnam) The large Hindu Temple complex - Angkorwat and surrounding countries other Temples were built by the same ruler King . The DhoranPardi (upbhraunce of Dhronacharya- Dhron Pardi?) village, Taluka Kamrej, Jilla Surat; is settel by one Anavil from Kondinya-Kondilya gotra have approx ten generation known upwords and the currant generation -relatives are known to be living in Canada, USA ,Zambia, UK,India and Australia. There may be many more places-Unknown. TamraPatra-CopperPlate were written (not available today!) saying the land was given and were collecting Taxes of some surrounding villages.This was till Gayakwad State existed. So well travelled,setteled,married and adapted other culture. stayed in touch and visited as much as possible eventually some lost contact but the tradition and way of life was mantained, later changed by the influences of the places,cultures,civilizationsand also the invaders. only way to surch further is todays technoloies -Internet ,Facebook,Whatsapp-DNA tests can confirm the History.